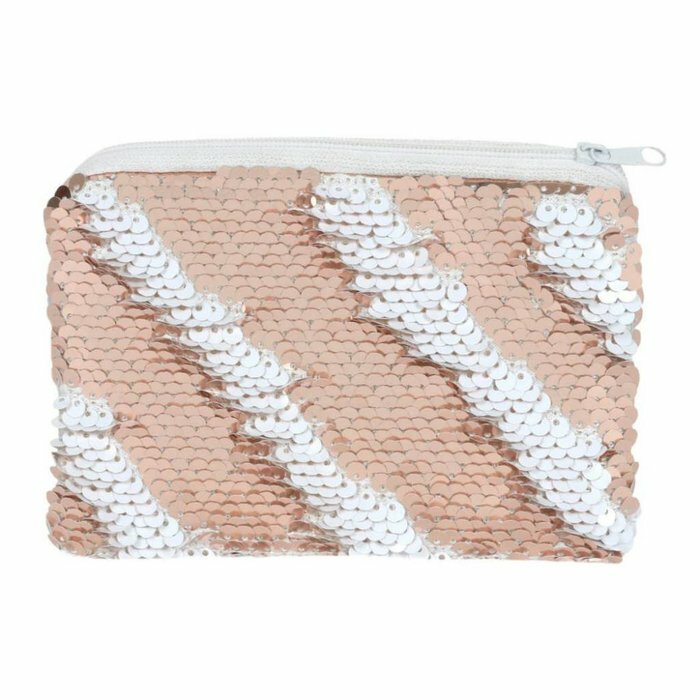 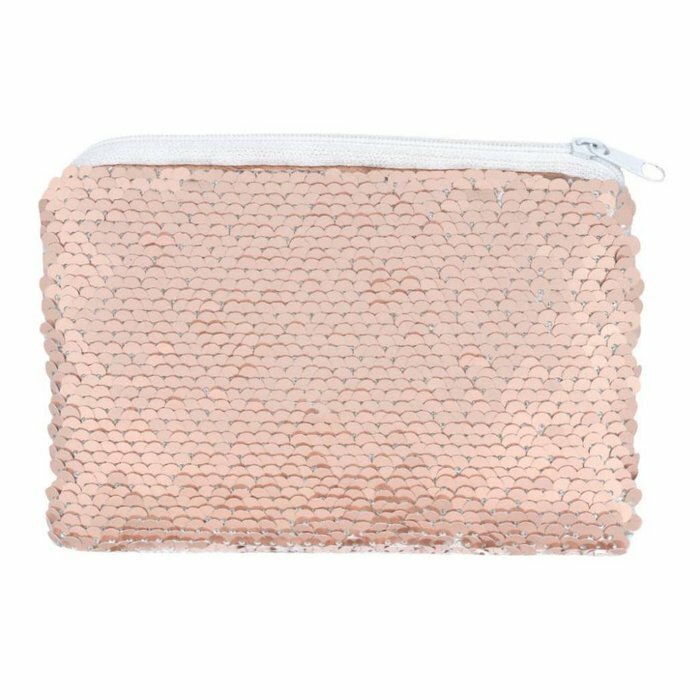 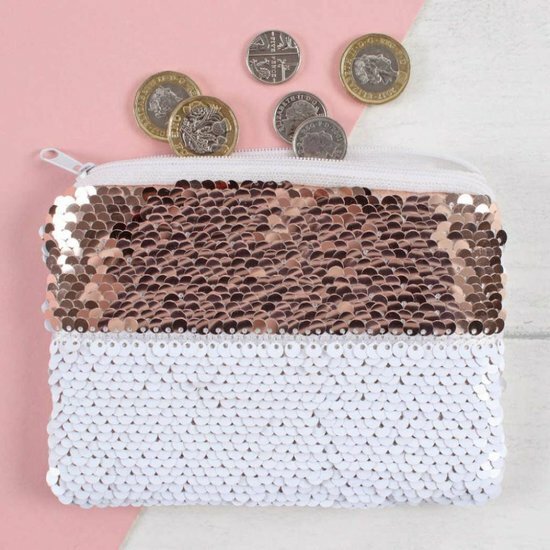 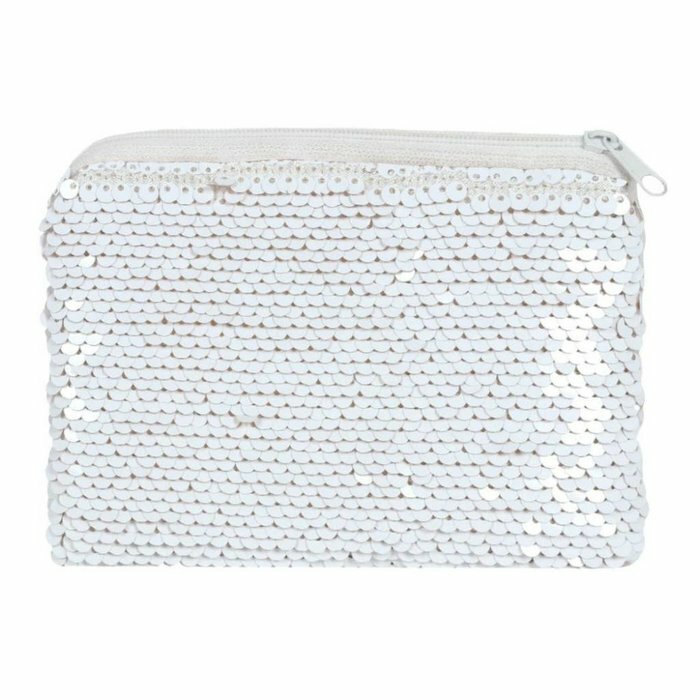 White and rose gold reversible sequin coin purse. 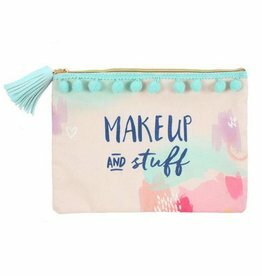 The cute little purse changes its colour from white to rose gold and vice verse when wiping over the sequins, creating beautiful and unique patterns in the process. 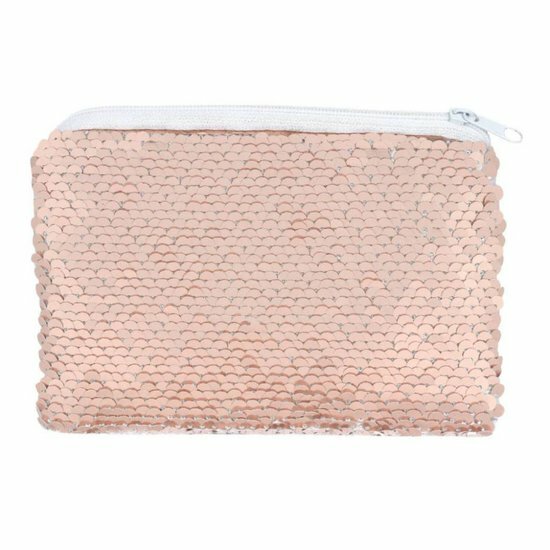 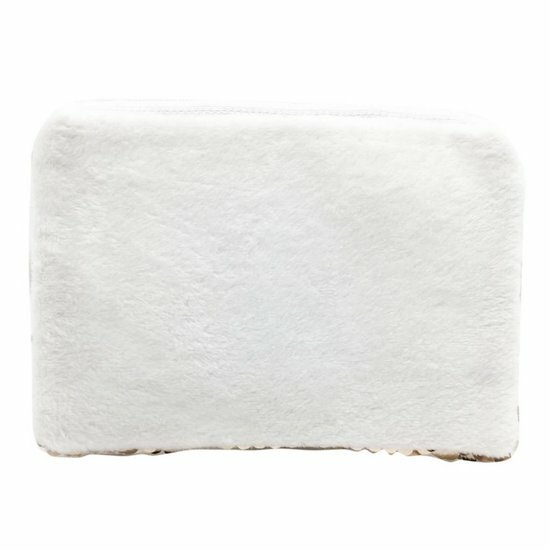 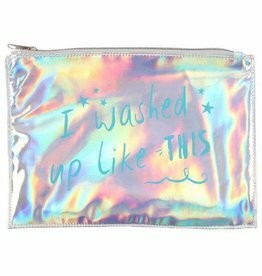 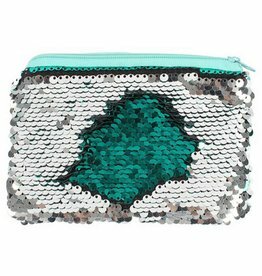 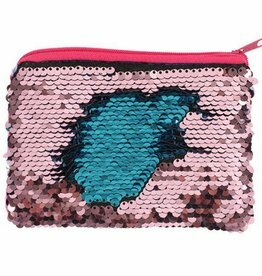 The little wallet makes for the perfect gift for everyone who loves a bit of glitter in their lives.